I just discovered a free book for download, all about blogging. I'm pretty excited to read it. Written by Michelle Mitchell, the book is called "Blogging in Pink: A Woman's Guide." Or at least a short one. If you're interested in starting a blog or in improving your existing blog this 24-chapter guide gives you tips for organizing yourself, getting started, focusing your efforts and taking things to the next level. Plus you get some pret-ty darn spiffy illustrations to boot. 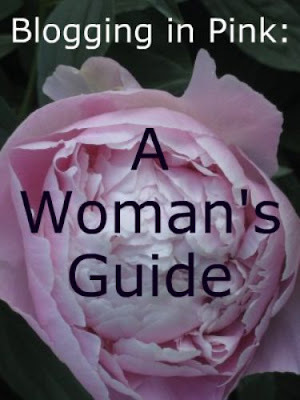 I call it a woman's guide because it addresses a couple things that are unique to blogs by women but in general the information applies to most blogs no matter who is writing or what the subject matter is." So who wants to join me in reading this great find? Check it out here. I'll join you! Looks like a good book.